11th April, 2012. Get tips for uploading Garmin activity log files to your blogs; TriathlonOz trisuits now available from our online shop; where to go for advice on all things triathlon; and win a workout guide book set worth $225 - all in our latest edition of the TriathlonOz newsletter. Hi TriathlonOz Reader, we hope you enjoy our newsletters. We've got quite a lot of news, tips and ideas in this edition so take a moment to enjoy the read. 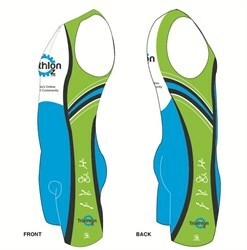 You'll look good in a TriathlonOz Trisuit ! The TriathlonOz trisuits are now available from our online shop and are available in both mens and ladies styling in a full range of sizes. For Members, you'll save $17 off the retail price when you buy online. For non-Members, you'll get complimentary Membership (worth $29.95) when you buy your trisuit online. See full list of Member benefits as this is a great deal that currently includes a special Dextro sports nutrition gift pack too! Buy direct from our stall at any events where we're exhibiting (including this weekend's Coogee Beach Triathlon) to grab an event-day bargain (credit or cash, no eftpos sorry). 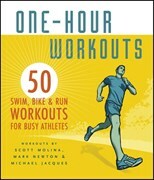 Win this set of "Workout Training Guides"
On April 17, we will select one winner (electronic random draw) from our registered visitors database (including Personal and Business Members). The winner will receive all 4 books plus an annual Membership (total prize worth $225). Because you're receiving this newsletter, you are already entered into this competiton, which will be drawn in just 6 more days. These books (and tons more) are also available from our online shop. Last minute entries can still be made by your friends/family just by setting up a Registered profile on TriathlonOz.com (click register and enter email address). Otherwise, we'll have entry forms available at this weekend's Coogee Beach Triathlon. The winner will be announced in our next newsletter but will need to contact us to claim their prize! Do you have pre-loved gear to sell? Then place a free text ad, or buy a Display ad to include photos for $19.95 in the TriathlonOz Classifieds. That's a great buy as Display ads stay online for 4 months (or until sold) and you can change your ad online if you need to vary the photos, price or description. This is an Australia-wide directory so if you're about to upgrade some gear why not make an attempt to declutter that garage and make some quick cash in the process. Need someone to ask for advice? Do you have questions? Do you seek opinions from other experienced triathletes? The Forum is the place for you. As a registered site user you can instantly access this section and create your own thread - or reply to other existing threads. All Forum threads appear daily in both our TriathlonOz facebook and Twitter feeds too which increase the distribution of your reach to interested people that support the concept of what we're about. TriathlonOz is all about the people - its about allowing you to engage in conversations with other like-minded people so please feel welcome to use the Forum for any questions, ideas, opinions and comments you might have. Are you a sharer? Or would you like a place to store and keep all your motivational sayings, photos, race reports, training journal etc? Then Blogs is for you. TriathlonOz gives your blog an immediate audience but there's other ways you can extend the reach of who reads your blogs. Members also get a perma-link for their own Blog Index Page and this can be given to your family/friends so they can check periodically at their own leisure to check your latest updates to see your latest sporting exploits (perfect for the non-facebook users in your family), and Facebook sharing is also available if that's your thing. TriathlonOz blogs are also the only place on the internet where you can upload the multisport file from your Garmin and show all 3 legs of your triathlon on the one screen and incorporate your photos and story all in one page! Our system is designed to be compatible with other brands, not just Garmin, so when the file is uploaded, our system extracts just the raw GPS data and presents it in a unique way that is simple and informative to other people wanting to see a quick snapshot of what you've done. Open this page to see one of David's blog entries - he's added text & photos as per any usual blog but if you scroll down you'll see a section showing Garmin Logs. When you use the "Add Activity Log" button in your blog, our system will automatically display your Garmin data in this unique format. It's so easy and yours with Membership! TriathlonOz is owned and published by I.T. Beyond Pty Ltd.